Can I just start off by saying how freaking beautifiul this book is? The design is just so amazing,this book is a work of art! 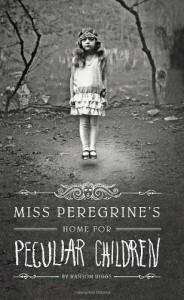 A very fun,interesting,unique and mysterious read.I really love the way the eerie vintage photography contemplates with the story and adds on to the overall creepiness. I did have a few minor problems with it,some things I didn't like,but they're not that important and don't change my opinion on this book when I say that it is absolutely fantastic! The beginning was a bit slow,but I was hooked to the story either way.Everything was on point,the unique story line as well as the characters,the atmosphere,the creepy aspect of it... I regret putting this off for so long and I can't wait to read the sequel! Highly recommend!